The Import wizard can be used to copy resources into the Workbench. Select Import from the popup. 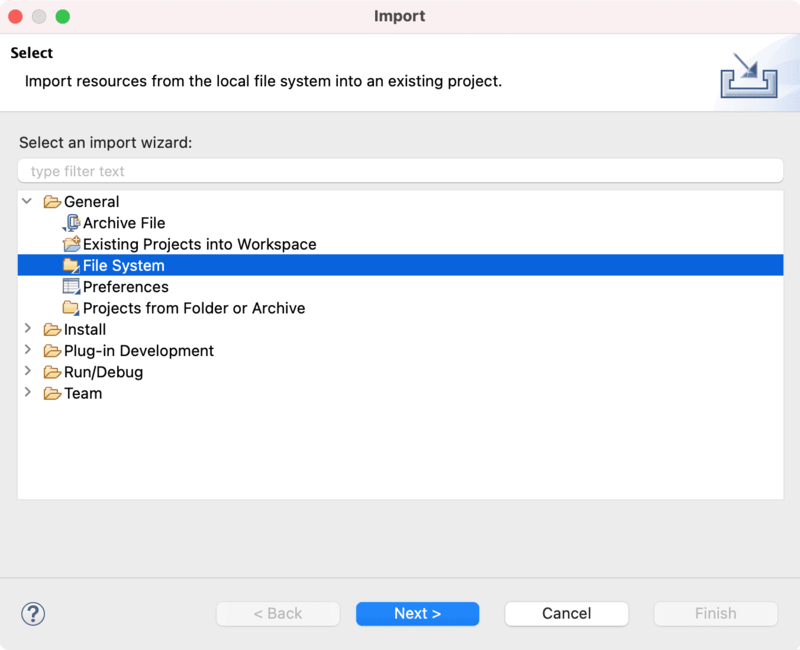 In the Import wizard, select File system, then click Next. 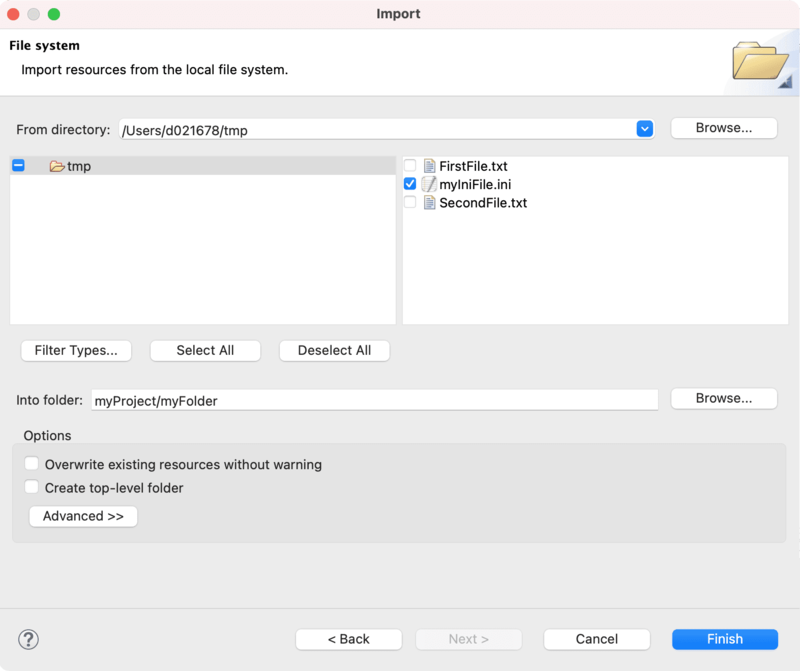 In the From directory field, type or browse to select the directory containing the file JanesINIFile.ini that was recently exported. Recent directories that have been imported from are shown on the From directory field's combo box. 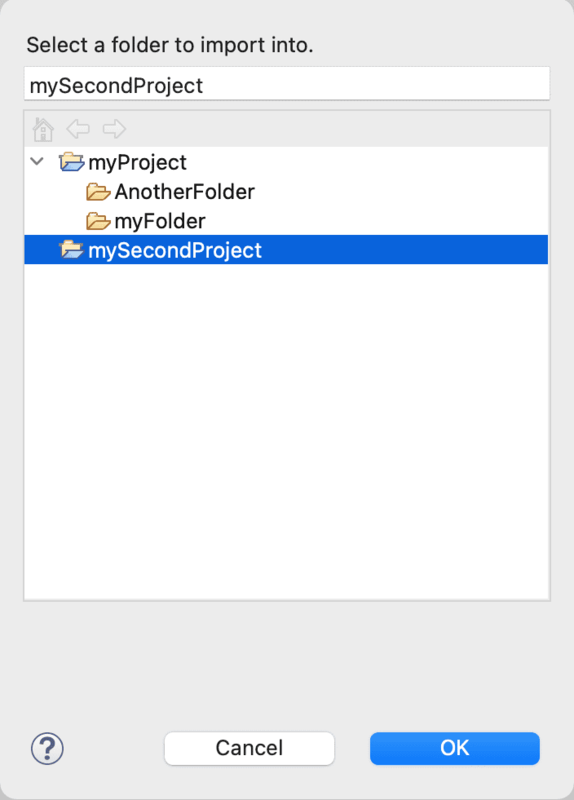 Checking a folder in the left pane will import its entire contents into the Workbench. A grayed checkbox (as shown below) indicates that only some of the files in the folder will be imported into the Workbench. The Filter Types button can be used to filter the types of files that will be imported. The Into folder field should already be filled in with the name of the project (JaneQUser). Click the Browse button and choose the second project JaneQUser2. Click Finish when done. The file JaneINIFile.ini is now shown in the one of the navigation views in the project JaneQUser2.